WHAT: The Boston Tea Party comes alive this December! It's December 16th, 1773 and trouble is brewing in Boston. Presented by Boston's famed Old South Meeting House and the Boston Tea Party Ships & Museum, the 242nd Boston Tea Party Anniversary Reenactment is an opportunity to experience one of America's most iconic public protests. Reenactors from across New England tell the story of the Boston Tea Party and theatrically recreate the events of December 16, 1773, which sparked the American Revolution. It all begins with a fiery tea tax debate at Old South Meeting House, the actual historic hall where the colonists gathered to protest 'taxation without representation' 242 years ago. Then, the public joins a lively procession to the waterfront and witnesses the Sons of Liberty destroy actual tea in Boston Harbor! WHEN: WEDNESDAY, DECEMBER 16, 2015 - Actual Historic Anniversary! TIMELINE: 6:30 – 7:30 p.m. Ticket holders join a spirited and theatrical colonial debate at Old South Meeting House to protest the tax on tea and demand liberty from the British crown, just as unprecedented numbers of colonists did in this very building more than 240 years ago. Samuel Adams, John Hancock, Paul Revere and other Patriot leaders join in a heated debate with crown-loving Loyalists in this final attempt to peaceably resolve the crisis before the midnight deadline. Visitors are encouraged to join the debate, letting their voices be heard in the very place where Boston's most famous act of rebellion began. Led by fife and drums, the public is invited to march with the reenactors from Old South Meeting House to Boston's historic waterfront where Griffin's Wharf once stood along the same route the Sons of Liberty took to Boston Harbor to destroy the tea in 1773! The public is invited to line the shores of Boston Harbor and watch as the Sons of Liberty storm the Brig Beaver and destroy chest after chest of East India tea, just as colonists did 242 years before. In this fully narrated program, the Sons of Liberty open the hold and hoist tea chests on deck. Tea chests are broken open and actual tea from the East India Tea Company (still in existence) is spilled into Boston's historic waters. 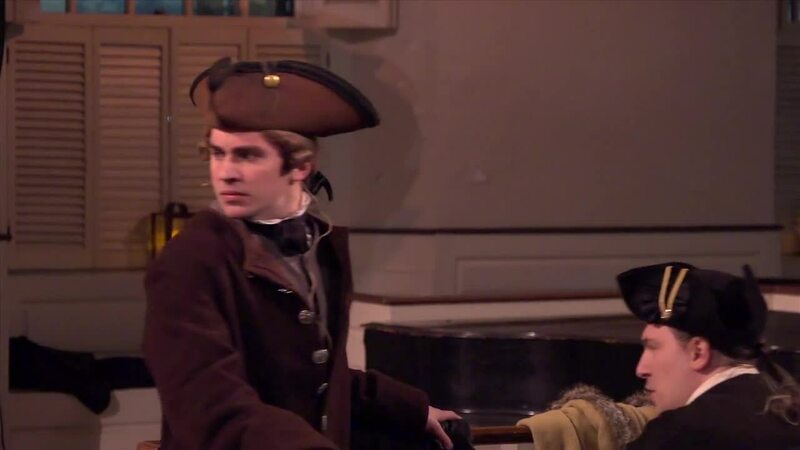 Viewers are encouraged to cheer "Huzzah" as they witness the dramatic conclusion of this single most important event leading up to the American Revolution. TICKETS: THIS EVENT SELLS OUT ANNUALLY. GREAT DEALS ONLINE! To purchase tickets go to: http://gottea2015.bpt.me or visit Old South Meeting House at 310 Washington Street, Boston, MA. General Admission tickets are available for sale at the Old South Meeting House as of September 1, 2015. Tickets include admission to the Meeting of the Body of the People at Old South Meeting House and access to an exclusive reserved viewing area on Boston's Harborwalk for the Destruction of the Tea. All ticket proceeds help support Old South Meeting House, a non-profit National Historic Landmark. This event takes place rain, sleet, snow or shine. NOTE: Both Old South Meeting House and Boston Tea Party Ships & Museum will be free and open to the public on Wed., December 16, 2015 from 10 a.m. to 2 p.m.
HARPOON BREWERY (306 Northern Ave) - annual/seasonal BOSTON TEA PARTY ALE - craft beer made with Souchong tea, a classic black tea from the Wuyi Mountains in the Fujian province of China. Tea is provided by the Boston Tea Party Ships & Museum and is famous for its very distinctive smoky aroma. It is one of the five tea blends thrown into Boston's historic waters during the Boston Tea Party. The Boston Tea Party, "the single most important event leading up to the American Revolution," occurred the night of Dec. 16, 1773. With the grand opening in June 2012, the Boston Tea Party Ships & Museum, owned and operated by Historic Tours of America, is dedicated to accurately reliving and representing a key time in history (1773 to 1775). Through actors, tea throwing reenactments, high-tech interactive exhibits, authentic replica ships: the Beaver and the Eleanor and an award-winning multisensory film, Let it Begin Here. The Boston Tea Party Ships & Museum is open 7 day/week from 10 a.m. – 5 p.m. (Summer/Spring) and from 10 a.m. - 4 p.m. (Fall/Winter). Tours run every 30 minutes in the fall/winter and every 15 minutes in the spring/summer and last 1 hr. Closed on Thanksgiving and Christmas Day. The Boston Tea Party Ships & Museum was voted 'Best New Museum' by Yankee magazine in the '2012 Best of New England Issue' and 'Best of the New 2012' by Boston Globe Magazine. To learn more visit www.bostonteapartyship.com or call 1-855-(TEA)-1773. The Boston Tea Party Ships & Museum is located at 306 Congress St. on the Congress St. Bridge, Boston, MA 02210. Famed as the place where the Boston Tea Party began, the 1729 Old South Meeting House is one of the nation's most important colonial landmarks and was the center for Boston's protests against British rule in the years leading to the American Revolution. Saved from demolition in 1876, this treasured National Historic Landmark has been open to the public since 1877 as a non-profit historic site, museum and an active center for public dialogue and free expression in the heart of downtown Boston. Open daily year round, presenting a full schedule of programs and events. Closed Thanksgiving Day, Christmas Eve Day, Christmas Day and New Years Day. For more information visit www.osmh.org call 617-482-6439 or contact info@osmh.org. The Old South Meeting House is located at 310 Washington St., at the intersection of Milk Street, Boston, MA 02108.